With over 3,800 hedge fund listings, try the most complete and up-to-date hedge fund database on the market. 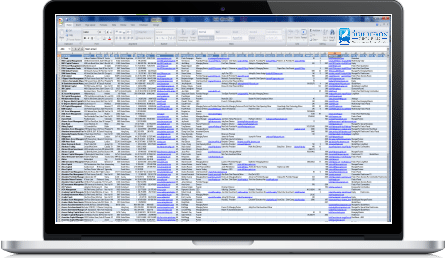 Our hedge fund database is delivered in Excel format, making it easy to sort, filter and search all 3,800+ listings. And 12 months of updates are included absolutely free so you know you are getting the most up-to-date information. Simply complete your purchase and you will instantly receive a download link. Open the file in Excel or any spreadsheet program and immediately begin filtering and sorting the information relevant to you. Excel, Open Office, Google Docs etc. Most Contact Management Software Including Outlook, SalesForce, SyPro etc. The Blue Heron Group aspires to be the leading alternative investment research firm. Our dedication is to providing accurate, near real-time, industry and company data. The Blue Heron Group LLC is a leading hedge fund information provider based in San Francisco, CA.